In the beginning; from the FCC Rules and Regulations Part 97 - Amateur Radio Service. download these rules FROM THE ARRL SITE: or in PDF format from the FCC document site. Please notice subpart (a) in the above preamble and consider if you will how the other subparts all might pertain to the subpart (a). 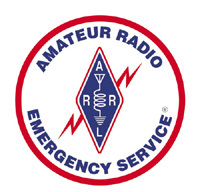 There are so many facets of Amateur Radio Emergency Services so I will focus on the ones I am most familiar with. I'll break them into a list, and each item will take you to a page that discusses this particular facet of Amateur Radio Emergency Services. How are amateur radio operators able to provide emergency communications at the basic level? Amateur radio operators form clubs and associations at the local level. National and State level associations. Your ability to operate the radio. Continuing education designed to prepare you for an emergency situation. What is happening in my local area.